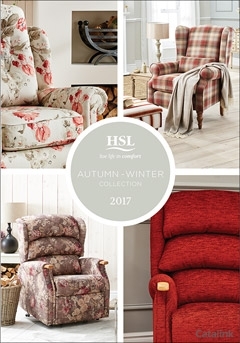 To sign up to the HSL Chairs & Recliners Newsletter, simply click the Request Newsletter button below and you will receive amazing special offers, discounts and access to secret sales. At HSL we believe everybody has the right to feel comfortable. So we've made it our mission to bring comfort to the nation. Our collection of handcrafted furniture has been providing unrivalled back-care support for generations. Sign up to the newsletter and request your free fabric card today! We offer a range of recline and raise chairs, recliners, armchairs, swivel chairs and sofas. Every chair is designed to fit you perfectly providing maximum postural support. You can also discover our new range of adjustable beds which offer a number of advantages compared to a normal bed, making them an increasingly popular choice. Sign up to the HSL Chairs newsletter today! HSL Chairs & Recliners Newsletter Natalija A. said: interesting and beautiful offers. expensive . AHF Furniture bring you a beautiful range of home furniture and carpets. Sign up to their newsletter today to explore all they have to offer. Ideal Standard International is a leading provider of innovative and design&#8211;driven bathroom solutions, producing sanitaryware and baths, as well as brass fittings, shower enclosures, valves and kits, bathroom furniture and vanity units. By Pressing the Request Newsletter button you give HSL Chairs & Recliners (and their Data Processors for the specific purpose of delivering your emails) consent to send you their newsletter via email until such time as you choose to unsubscribe.